Melissa Patrick, MSW has devoted her professional life to eliminating discriminatory practices and promoting diversity and inclusion in schools and organizations. She is Sr. Consultant/Founder of Equity & Expectations℠ a consulting firm that provides strategic advice, coaching, and professional development related to racial equity and cultural proficiency. She earned her BA in Urban Affairs and Elementary Education Certification from the University of Rhode Island in 1991. In 2000, she was granted her MS in Social Work from Columbia University in New York City. Being a trained educator and social worker she has taught and supported learners of all ages, from school-age children to adults. Ms. Patrick has been facilitating courageous conversations for over 20 years. 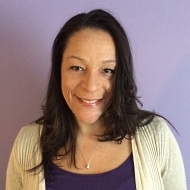 Drawing from her own multiracial experience and professional training, Ms. Patrick has developed a keen understanding of the range of feelings and behaviors that people may experience when discussing challenging, "hot" topics such as race and racism. Her knowledge and skillful management of individual and group dynamics have gained her respect among colleagues.